Many people over the age of 50 notice that their brain just doesn’t function like it used to. It gets harder to multi-task. It gets harder to concentrate. And it’s easier to get distracted. When they were younger, they could easily recall names, numbers, and dates. But these same things are not coming quite as fast as they did back then. The good news is that there are a lot of ways to prevent this decline. And today, I’m going to tell you about one that’s easy and inexpensive. A slight decrease in cognition as we get older is nothing new. The doctors call it “age-related cognitive decline,” which is just an official way of saying that the older you get, the less efficient your brain becomes. But it could be more than just senior moments. For many people, cognitive decline is extremely upsetting. For example, I have a patient named Maureen. She was having a lot of problems. Her conventional doctor diagnosed her four months ago with an unknown protein disorder that may turn out to be life threatening. But that wasn’t all. In the past six months, she had noticed increasing pain in her left leg when walking. And last month, her doctor discovered what was causing the pain. It was her left iliac artery, the one that feeds blood to the leg. It was completely clogged from atherosclerosis. In order to fix this, her doctor told her she needed surgery. Sounds like an awful lot to be dealing with at one time, right? But as bad as all of this is, the thing she worried about most was her brain. During the last few years, she noticed that she was not remembering things that should be quick on her mind. For example, she told me about a day when she was in church and wanted to introduce one of her friends to a visitor. To her great embarrassment, when she started the introduction, she discovered that she was having a complete block on her friend’s name. This was someone she had known for years. And there were other occasions as well. Her ability to recall simple facts was especially worrisome. She had always been able to recall them without delay. But now they came to her only after she thought about them for several minutes. She tried to tell someone the name of a book she was reading, but could not remember the title. After about five minutes, it finally came to her. Or she would go into the kitchen to get something, and when she got there suddenly realized that she did not remember what she went there for. Keep in mind that this woman has been a teacher for 40 years. She was used to having facts come to her immediately. Many of us have had these kinds of “senior moments,” but usually they are just due to too many things being on our mind at one time. The brain becomes overburdened and distracted at these times, and it can occasionally slip up. But Maureen’s situation was much worse than that. It was a definite decline in her cognitive function that had steadily worsened over the past one to two years. Now a new study is offering Maureen and other people like her hope. 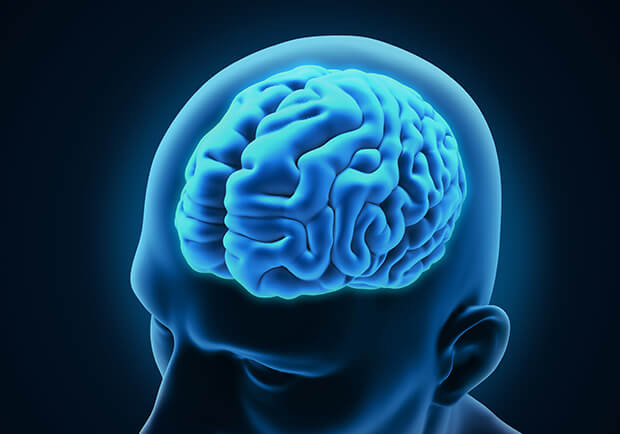 What these researchers discovered could give them the chance to recover their former quick brain function merely by changing the way they eat and adding one supplement to their diet. Researchers at the Center for Clinical Pharmacology at the University of Pittsburgh were aware that there’s a lot of evidence that links diets high in fish with better brain development in children. The same studies also show that children who eat more fish have a much lower risk of developing cognitive disorders in later life. The reason? Fish oil contains one particular fat that our brains absolutely must have in order to function optimally. That fat is an omega-3 fat called docosahexaenoic acid, commonly referred to as DHA (don’t confuse this with the hormone DHEA — they are completely different!). Other than grass-fed animals, fish oil is literally the only way you can get DHA in your diet. Grains, vegetables, and grain-fed animals do not contain DHA. So these scientists set out to determine whether blood levels high in DHA led to better brain function. Here’s what they did. In this study, they decided not to look at children. Instead, they wanted to see if DHA had an effect on the brains of middle-aged adults. They found 280 men and women between the ages of 35 to 54 who were free of any emotional or neurological problems, and who were not taking any fish oil supplements. First, they examined the blood levels of the three major omega-3 fats: DHA, ALA (alpha-linolenic acid), and EPA (eicosapentaenoic acid). I’ll tell you more about these other fats and why they checked them in a little bit. Then they checked the cognitive functioning of all of the volunteers with a 75-minute battery of tests. These tests assessed nonverbal reasoning, mental flexibility, working memory, and vocabulary. Finally, the researchers compared the blood levels of the various fats with how well the subjects did on the tests. What they found was astounding. The blood levels of ALA and EPA were not related in any way with how well the subjects performed on the tests. However, DHA was different. The higher the DHA blood levels were, the better the participants scored on the tests. The ones with the highest levels had the best scores. And it made no difference at all how high the educational level was for the individual subjects. The more DHA they had, the better their brains worked. According to the authors, of all the omega-3 fats, “only DHA is associated with major aspects of cognitive performance.” I think that’s impressive. Think about it: In a group of over 200 people, right down the line, the ones with the highest DHA levels had the best brain function. It’s enough to make you want to eat fish every day. When I first read this study, I immediately began to wonder why in the world God would design our bodies to need a fat that you can get only from fish. And then I remembered ... we don’t actually need to eat DHA. Our bodies are able to manufacture it on an as needed basis. Here’s how it works. The essential fat, the one we must eat because we cannot make it, is ALA (alpha-linolenic acid). Unlike DHA, ALA is abundant in whole grains, legumes, and vegetables. But ALA is only a building block. All by itself, it is of no use to the body. That’s why the researchers found that brain function did not improve as the ALA levels became higher. In order for it to be of any use to the body, your body has to convert ALA to EPA and DHA. These are the real fats that the body depends on. To convert it, your body needs the enzyme delta-6 desaturase. It converts ALA to EPA and then converts EPA to DHA. So as long as delta-6 desaturase is alive and well, there’s no real need to eat fish or grass-fed animals. We can get all of the EPA and DHA we need from vegetables and grains. But therein lies the problem. Researchers estimate that somewhere between 10 to 25% of those living in industrial nations don’t maintain adequate levels of delta-6 desaturase. Why? It mostly has to do with our industrialized diets. Take alcohol, for example. After you ingest alcohol, your liver converts it into a substance called acetaldehyde. Studies have shown that acetaldehyde destroys and inactivates delta-6 desaturase. So too much alcohol, and you will not be able to make enough EPA and DHA. But it’s not just as simple as watching your alcohol intake. There are other dietary substances which impair delta-6 desaturase. Excessive consumption of oils high in monounsaturated fats have the same effect. This includes canola oil, peanut oil, almond oil, avocado oil, and, yes, even olive oil. Unsaturated fats such as safflower, corn, flax, and walnut oils are not as much of a problem, unless you heat them. Butter and animal fats inhibit delta-6 desaturase even less. The best overall oil in this regard is coconut oil, and the worst are the trans fats. Additionally, eating too much cholesterol may deplete delta-6 desaturase. And there are other non-dietary factors. Just like with every other enzyme in the body, the older you are, the less delta-6 desaturase you have. Low metabolic rates also result in a decrease of the enzyme. And diabetics have a particular problem. For the most part, they have very little delta-6 desaturase activity. These folks should definitely take a fish oil supplement. The main cofactors for the activity and synthesis of delta-6 desaturase are magnesium, vitamin B6, and zinc. Many people who eat the typical American diet are deficient in zinc and magnesium. And many others with special genetic needs, even if they have a good diet, must supplement one or more of these nutrients in order to have optimal delta-6 desaturase activity. So what’s a good game plan for someone like Maureen? First of all, if your diet has a lot of oils in it, particularly heated oils, then cut back 30-40%. Try to use coconut oil as much as possible. Next, eat more fish. Salmon is one of the best-tasting fish, and it also has some of the highest amounts of DHA. Then, if you have any cognitive decline, supplement your diet with capsules that are high in DHA. In addition, make sure you also supplement your diet with a good multivitamin that contains B6, zinc, and magnesium. Of course, there are other factors that play important roles in memory. Many of these I have discussed in the past. You can find these on my website. So if you make the above changes and don’t see a definite improvement within six months, talk with a naturally minded doctor about adding something else to the program. Remember that your brain is just like any other organ. It has to have everything it needs in order to function properly. And DHA is particularly important. Muldoon, M.F., C.M. Ryan, L. Sheu, et al. “Serum phospholipid docosahexaenonic acid is associated with cognitive functioning during middle adulthood.” J Nutr. 2010 April;140(4):848-53. Epub 2010 February 24.